To celebrate the 100th anniversary of the enactment of the 19th amendment, the National Archives and Records Administration (NARA) is opening a museum exhibit called Rightfully Hers: American Women and the Vote. It will highlight both the told and untold history of women’s suffrage in America. Consider that even before the amendment’s passage, some women could vote for certain state and national offices depending on where they lived. And still other women (often women of color) could not vote even after it was ratified. The history of a nationwide policy change extends well beyond the letter of the law. Shifts must happen culturally and locally, too. Our course is working to capture and share those rich and complex stories. NARA is collaborating with Wiki Education to make sure Wikipedia best represents the full history of women’s suffrage. Through our virtual course, historians, librarians, and citizen archivists have gathered together to learn the Wikipedia editing skills required to present these stories to the public where they’re looking for it. Suffragist history often focuses on the well-known white players: Susan B. Anthony, Elizabeth Cady Stanton, Margaret Fuller. It’s important to highlight the full story and the activists working consciously towards universal suffrage. That’s exactly what Wiki Scholars in our course did when they improved the Wikipedia biography of activist Ida B. Wells. Ida B. Wells, public domain. Wells laid the groundwork for creating change and fostering attitudes of acceptance leading up to the amendment. She founded the Alpha Suffrage Club in Chicago in 1913. The group helped young black women, who were excluded from mainstream suffrage debates, engage politically in and for their communities. The club also played a role in electing city and state officials of color. The two Wiki Scholars worked together across their respective disciplines of expertise to make sure Wells is well-represented on Wikipedia. Now, her article boasts many new sections and sources, providing a more complete picture of her life, legacy, and impact within the suffrage movement. Another Wiki Scholar in our NARA course expanded Wikipedia’s coverage of Native American civil rights, which remained restricted even after the passage of the 19th amendment. Wiki Scholars also created previously non-existent Wikipedia biographies for lesser-known suffragists who made big impacts. Helen Hoy Greely, for example, was an accomplished activist whose career spanned over five decades. Etta Haynie Maddox fought for women to be able to take the bar exam and practice law in the state of Maryland; she was the first woman in Maryland to practice law. And Mary McHenry Keith was a lawyer and social justice advocate, whose life and career also weren’t represented on Wikipedia before the course. Another Wiki Scholar poured their energy into a brand new article about the Prison Special, a train tour around the United States which drew attention to the stories of women who had been arrested, detained, or incarcerated as a result of participating in protests that promoted suffrage. The article was featured on Wikipedia’s main page on January 20th, and received 4,000 page views that day alone. The collaborative experience of our course fosters personal and professional skills identified by the American Historical Association that historians with PhDs said they wished they had learned in grad school. Read all about how our NARA course will help you hone your abilities to collaborate, communicate your field to the public, improve your intellectual self-confidence, and more. Interested in taking our course? Visit our landing page and sign up to receive updates about start dates. We’ll have another course this spring! To read about the personal experience of one Wiki Scholar, click here. 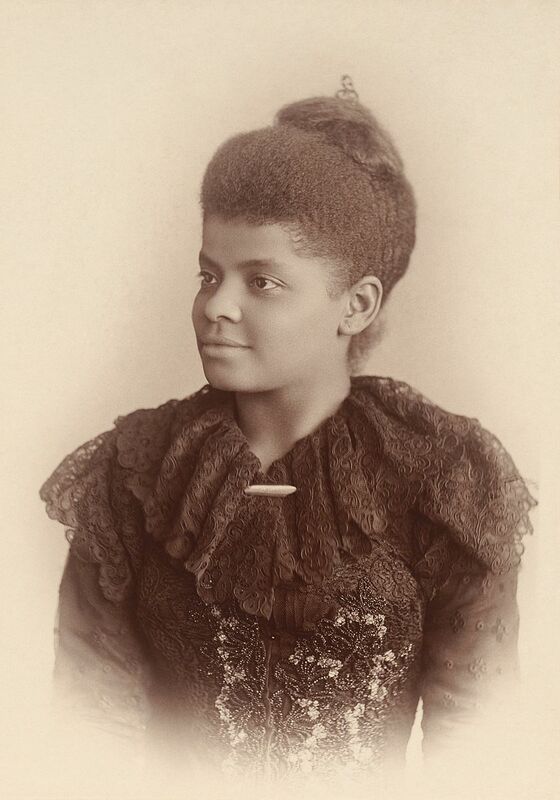 Header: File:Mary Garrity – Ida B. Wells-Barnett – Google Art Project – restoration crop.jpg, public domain, via Wikimedia Commons.